AND CONDITIONS - QUALITY KNITTING - "QN"
Orders can be placed on line by using www.qualityknitting.com to login and enjoy 24/7 online ordering, availability confirmation and order tracking. EXCEPT AS OTHERWISE NOTED HEREIN, THE MATERIALS AND SERVICES PROVIDED ON THIS SITE ARE PROVIDED "AS IS" BY QN, WITHOUT ANY WARRANTIES OR REPRESENTATIONS OF ANY KIND, INCLUDING WARRANTIES AND CONDITIONS OF MERCHANTABILITY, FITNESS FOR A PARTICULAR PURPOSE, TITLE OR NON-INFRINGEMENT OF INTELLECTUAL PROPERTY. 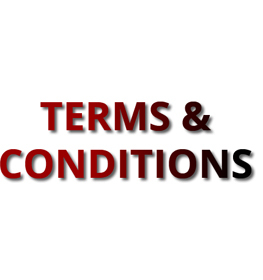 Applicable laws may not allow the exclusion of implied warranties, so the above exclusion may not apply to you. To the extent permissible, any implied warranties or representations are limited to the fullest extent permitted by law. QN makes no warranties, representations, or conditions of any kind regarding the sites, services, products, programmes or other offerings of Third Parties referenced on or accessible by means of the Site. QN also takes no responsibility for viruses that may damage your computer system or data resulting from your access to or use of the Site. Although reasonable efforts are used to ensure that the Site will be current and will contain no errors or inaccuracies, QN does not warrant or represent the accuracy and completeness of the Materials on the Site. QN may make changes to the Materials on the Site at any time without notice. The Materials on the Site may be out of date, and QN makes no commitment to update the Materials. QN does not guarantee that all Products referenced on the Site will be available at all times. Products available from QN at any given time may not be exactly as shown or described, and QN reserves the right to improve or change the design of any Product without assuming any obligation to modify or replace any Product previously manufactured. QN reserves the right to limit quantities and to specify a minimum order requirement. IN NO EVENT WILL QN, OR ITS SUPPLIERS, BE LIABLE FOR ANY DAMAGES WHATSOEVER ARISING OUT OF THE USE, INABILITY TO USE, OR THE RESULTS OF USE OF THIS SITE, ANY THIRD PARTY SITES, OR THE MATERIALS, SERVICES, OR PRODUCTS CONTAINED OR PROVIDED THROUGH ANY OR ALL SUCH SITES, WHETHER BASED ON WARRANTY, CONTRACT, TORT OR ANY OTHER LEGAL THEORY AND WHETHER OR NOT QN IS ADVISED OF THE POSSIBILITY OF SUCH DAMAGES. IF YOUR USE OF THE MATERIALS OR SERVICES ON THIS SITE RESULTS IN THE NEED FOR SERVICING, REPAIR OR CORRECTION OF EQUIPMENT OR DATA, YOU ASSUME ALL COSTS THEREOF. APPLICABLE LAW MAY NOT ALLOW THE EXCLUSION OR LIMITATION OF INCIDENTAL OR CONSEQUENTIAL DAMAGES, SO THE ABOVE LIMITATION OR EXCLUSION MAY NOT APPLY TO YOU. You agree to defend, indemnify and hold harmless QN and its affiliates, representatives, officers, directors and employees from all liabilities, claims, costs and expenses, including legal fees, that arise out of or in connection with your use of the Site, your viewing or downloading of Materials from the Site, your use of Services or acquisition of Products on the Site, or your Communications to the Site.